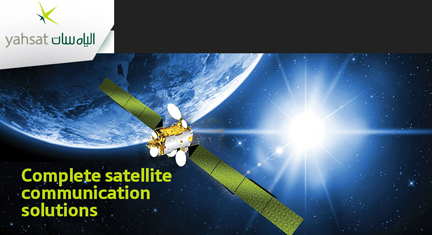 [SatNews] Al Yah Satellite Communications Company, Yahsat (http://www.yahsat.ae), the Abu Dhabi based satellite operator, has announced its YahClick satellite broadband Internet promotional offer in South Sudan for a period of two months. 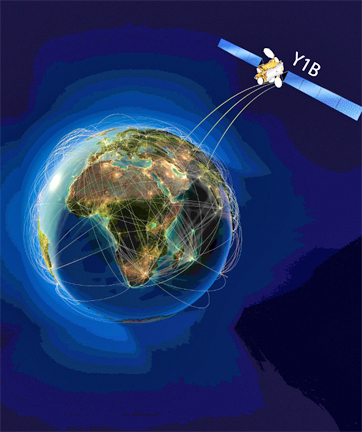 Artistic rendition of YahSat's Y1B satellite. 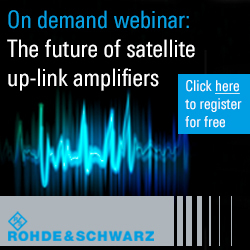 Yahsat is offering a free satellite modem and dish for new YahClick subscribers to selected service plans as part of its commitment to deliver affordable, reliable and high speed internet connectivity in South Sudan. The offer is available via the local YahClick service providers Scoop and RCS. Running only until stocks last, this promotion offers subscribers significant savings on equipment costs when signing up to selected YahClick Business or Home service plans in South Sudan via YahClick Service Partners. As part of the promotion, new YahClick subscribers can get a free satellite modem and dish for Business subscription plans for speeds ranging from 3Mbps or higher or they can enjoy a discount on equipment for 2Mbps or lower plans. Subscribers to Home 3 Mbps plans or higher will only pay the discounted equipment charge when they subscribe for three months upfront. YahClick is designed to provide satellite broadband internet to all and is set to open new business opportunities and connectivity to a wide range of industries, NGOs, government, educational organisations, and home users throughout its coverage area by providing reliable, high-bandwidth Internet connectivity to urban, rural and even remote communities. Scoop and RCS offer a selection of YahClick service plans that bundle hardware, software and local support services to meet the speed and data needs of businesses, government organisations, NGOs, and households.